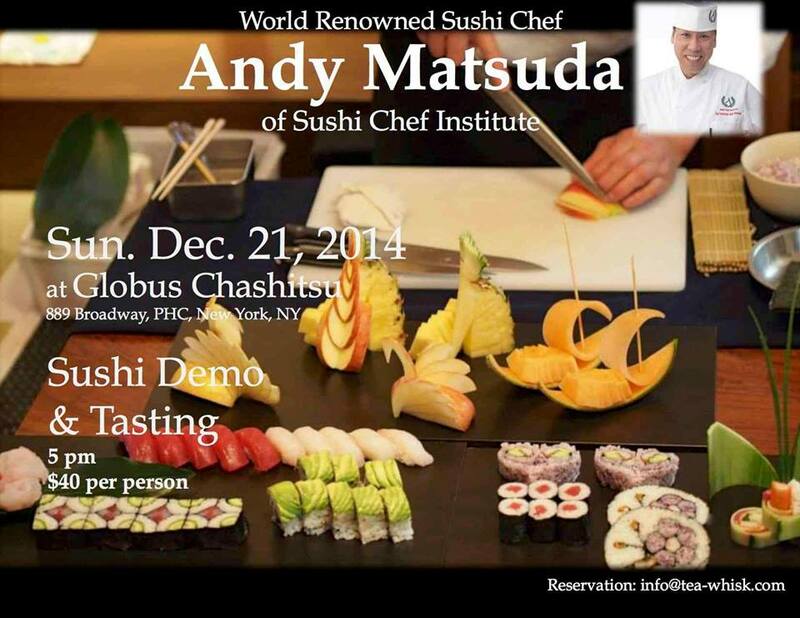 Sunday, December 21 at 5:00 p.m.
World famous Sushi Chef Andy Matsuda of Sushi Chef Institute in California returns to New York. Globus Washitsu, a tatami mat tea ceremony room near Union Square, and Tea-Whisk, a company that provides tea ceremony experiences in New York, present a special sushi demo and tasting with Chef Matsuda, who gave a demonstration in March of this year. Please note that space is limited on a first-come, first-served basis. Please RSVP by contacting info@tea-whisk.com.